I do believe that footwear speaks volumes for ones’ personality, especially if it is the handcrafted variety and may I add that this is not just any footwear we are talking about, but this is the amazingly stunning, pretty gorgeousness, all made into a beautiful, the versatile ‘Mojri’, also referred to as a ‘Jutti’, that is the topic of discussion for this post. 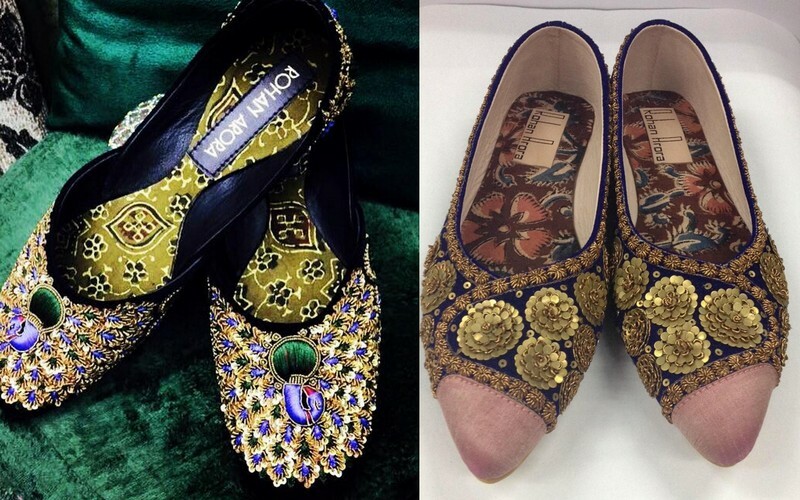 “Jutti” is derived from the Urdu language, which simply means a shoe with a closed upper attached to a sole. 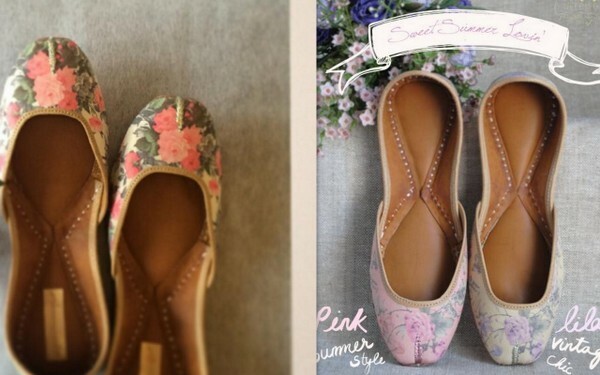 ‘Juttis’ come in many variations based on the history of the shoemaker, the period, various regional traditions and these are adapted according to the environment and materials to create unique designs. I love the fact that they have no left and right distinction (makes life a whole lot easier, especially in those busy, mad mornings! ), and are typically flat-soled, which I love too! This kind of style was apparently started by the Mughals and was mainly used in the Royal household. Believed to have been born in Rajasthan and decorated with the most precious gemstones and pearls! Shouts out royalty, doesn’t it? Though, thought to have been first created in the state of Rajasthan, they are extremely popular in the state of Punjab and are loved by most across the world, infact, most of us associate ‘juttis’ with the wonderful state of Punjab. 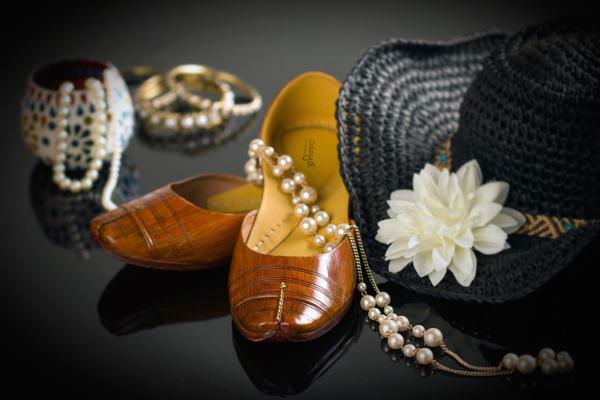 Then for the Royals, today these beautiful pieces of footwear are owned by most footwear collectors across the world! NeedleDust, has a brilliant collection of these dainty beauties. or if you interested in buying these and are at the same time, also looking for an opportunity to fund such an amazing project, then have a peep at Coloyd. 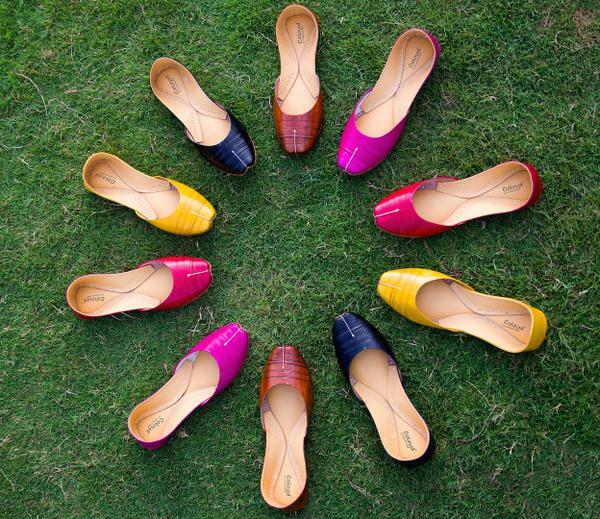 Hand crafted pretty ‘juttis’ are also being created by this wonderful, Kolkata based designer, Rohan Arora. Have a look and see if you fancy any…and if its the ‘Kolhapuri’ look that you are after, then, click away at Chappers. So much to choose from, isn’t it? When I was in college, we used to love our travels to the Janpath market in New Delhi, that used to be focussed on the ‘jutti’ hunt and today, hunting for ‘juttis’ is a whole lot simpler! All you have to do, is click away…. I was a bit saddened to read (though not surprised, I must add!) to learn that this pretty footwear sort of have supported casteism? That makes one squirm a bit, but it was a fact in those days. The leather bits were worked upon by those thought to be lower down in the so called caste system while being worn/purchased by the top most people of the system! I hope this nasty bit doesn’t exist anymore! Hopefully, today it is just the prettiness without the nastiness! I love these ‘juttis’, I mean, who doesn’t, that is of course if you find one that fits you well, especially for the wide-feet people like me! I have now found mine 🙂 Have you?